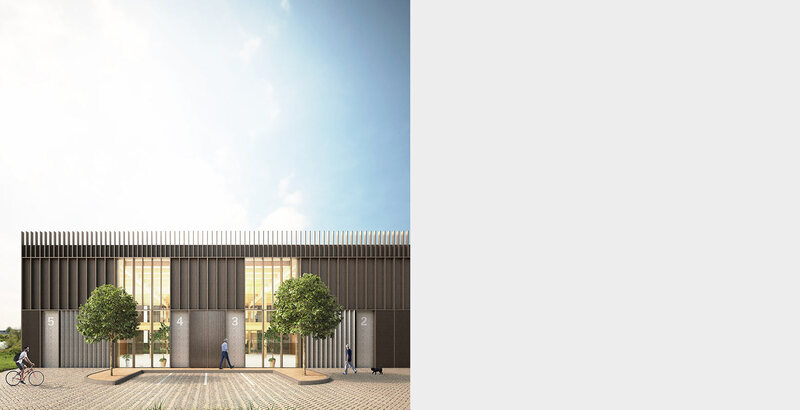 This speculative tech industrial building is intended to be one of the most sustainable buildings of its type. 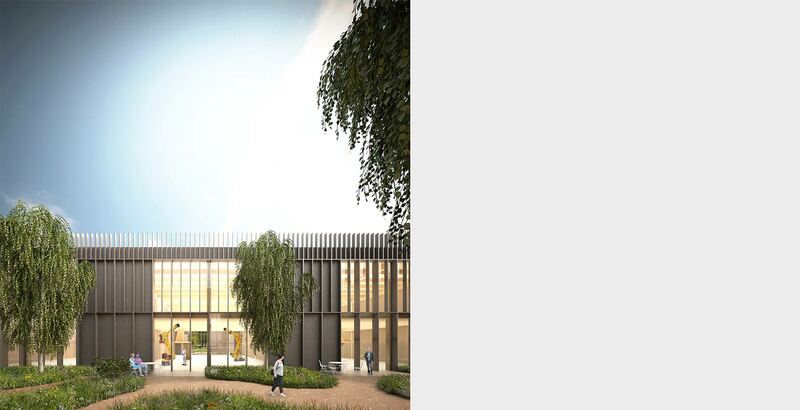 It comprises a superstructure of engineered timber with charred timber cladding, and is designed to allow natural ventilation and lighting, whilst minimising any unwanted solar gain. 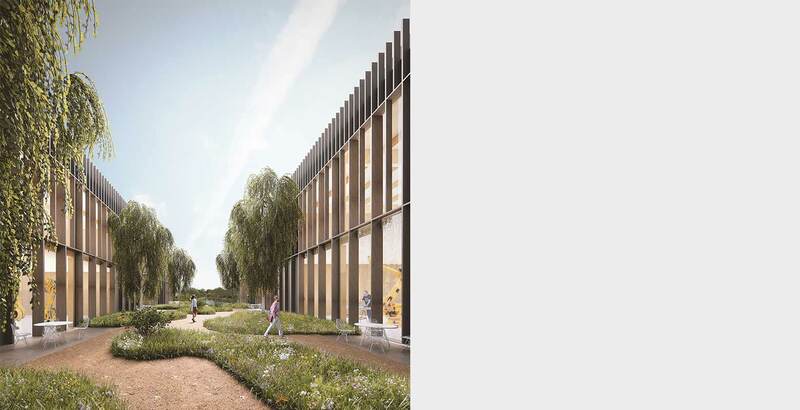 The site plan brings the soft landscaping of the surroundings into the heart of the development, as a focus for all of the tenants working in the buildings, contributing to a very high sense of well-being in the workplace.